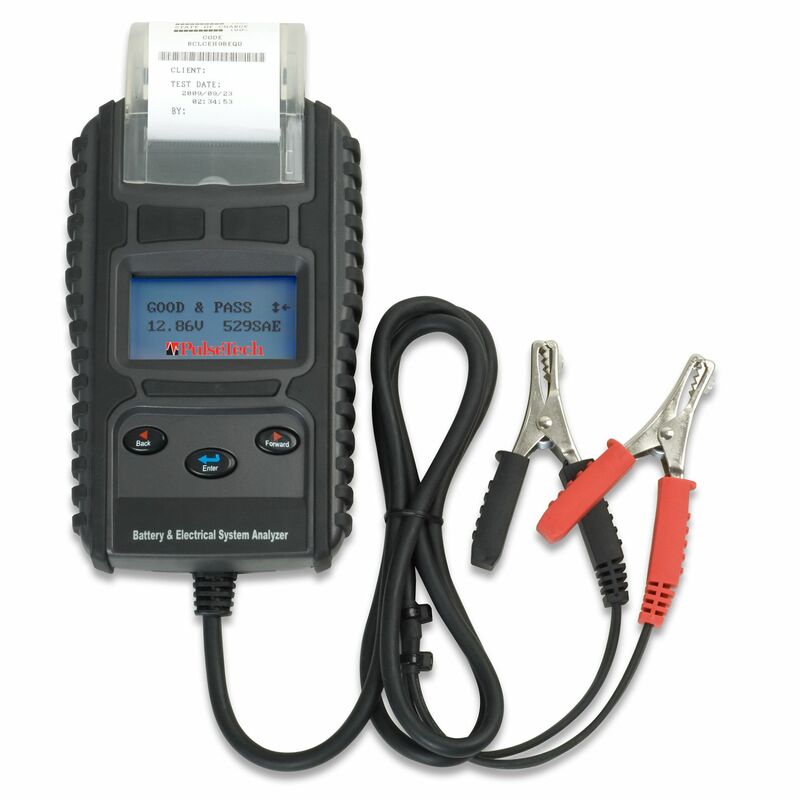 The 777P-PT Battery and System Analyzer tests both 6-Volt and 12-Volt lead-acid batteries (VRLA, AGM, gel and flooded cell) as well as 12-Volt and 24-Volt starting/charging systems fast, safely and simply. The single load, dynamic resistance testing technology ensures your vehicle or equipment readiness. The backlit display is easy to read in any light and you can print your test results for easy record keeping. The unit is housed in rugged over molded rubber and comes with high impact molded carry case. Fast, safe and simple, the 777P-PT Battery and System Analyzer ensures vehicle or equipment readiness for your customers or your own fleet. The single-load, dynamic resistance technology tests both 6-Volt and 12-Volt lead acid flooded, AGM, flooded cell and gel cell batteries. The built-in printer uses standard thermal printer paper so you can attach a printout to a work order, share it with your customers or built a preventative maintenance program of record keeping. Do you own the 741X777? Please, tell us what you think about it. It helps us provide you with better products. Please note that it may take up to 72 hours for your review to appear.